Instructor Michelle Quigley helps student Carl Weiss manage his bookmarked websites in Google Chrome Thursday morning. The Delray Beach Public Library holds the Internet & Beyond course upstairs, in the techology room. The computers were recently updated by a grant from the library's board. 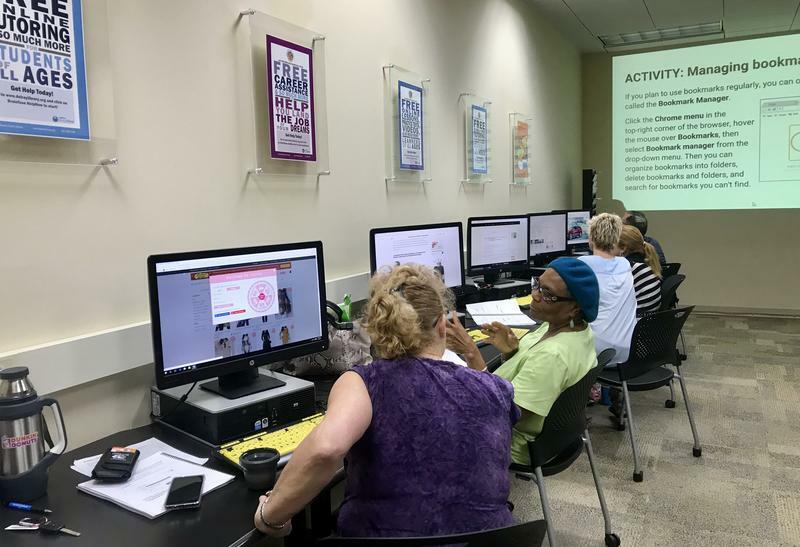 Computer classes for people over the age of 65 are growing, especially in South Florida public libraries. 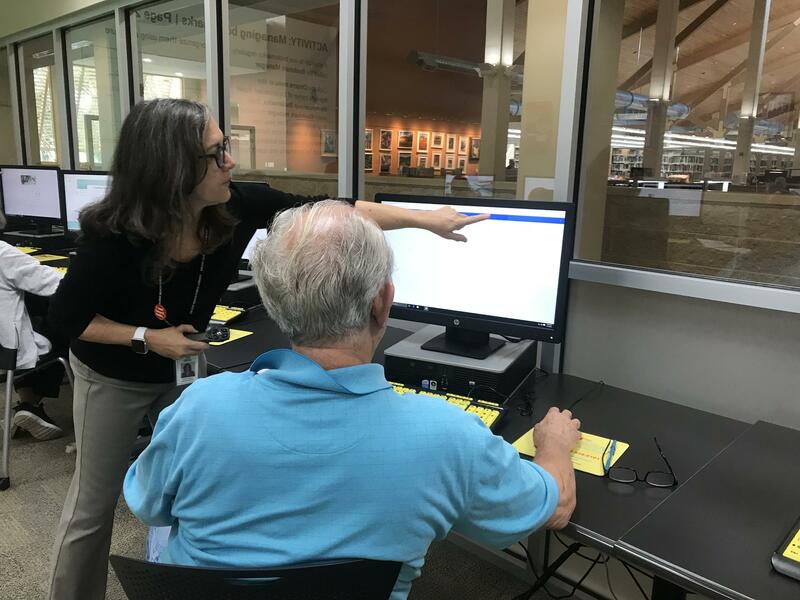 The Delray Beach Public Library is trying to keep up with demand by starting a longer basic knowledge course offering through the Older Adults Tech Academy, or OATA. Michelle Quigley is the principal teacher for the course and a resource librarian. Her goal is to teach her eight students over the 10-week course "to be more comfortable on the internet, and to hope that they can integrate using the internet more into their daily lives,” she said. Quigley is teaching the students how to conduct basic research online, how to stay organized, how to protect their personal information and even how to bank — all online. It can be a frustrating task for some, but also one that holds new opportunities. “It’s opening my eyes to, you know, not only what’s out there, but how it can be used,” Weiss said. In this session, he and his classmates learned how to open and manage new tabs and bookmark web pages. 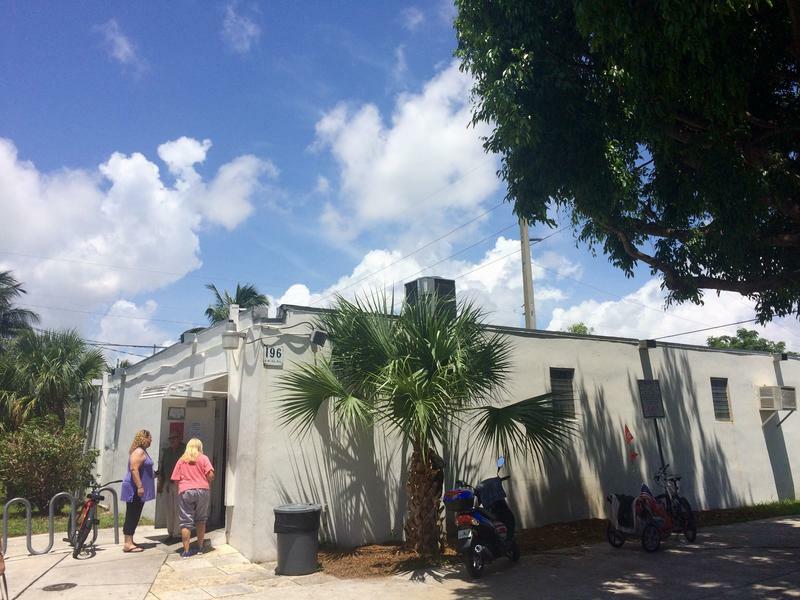 Delray Beach’s program may be a longer course with a holistic approach, but you can still take certain types of computer classes in the Miami-Dade, Broward and Monroe counties' public library systems. However, these are usually by appointment or based on one specific skill at a time. 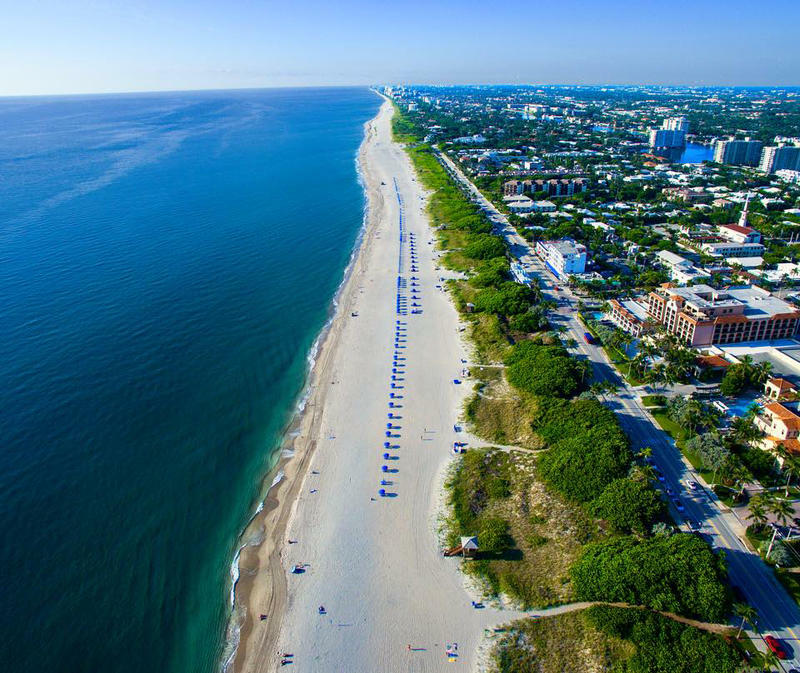 Delray Beach’s city commission is getting a shake-up in the new year. 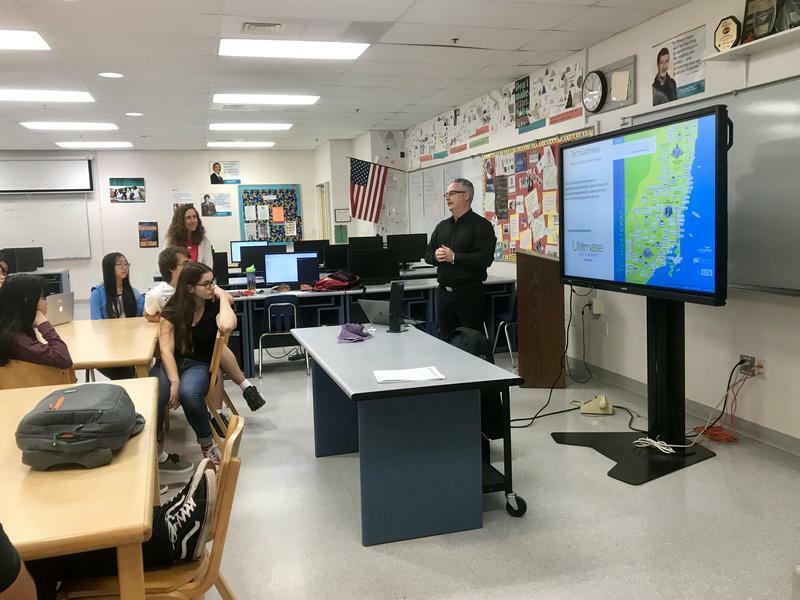 Students of six Broward County public schools got a taste of what it takes to have a successful career in technology in South Florida on Wednesday when members of Greater Fort Lauderdale Alliance and the South Florida TechGateway program hosted a "TechGateway Day." The event was part of National Computer Science Education Week and brought technologists from companies headquartered in Broward County to local middle and high schools to discuss their professional paths.